Early bird and last minute offers. Group discounts. Loyalty bonus. Book with as little as 10% deposit. The best way to dive the Similan and Surin Island national marine parks is by liveaboard. 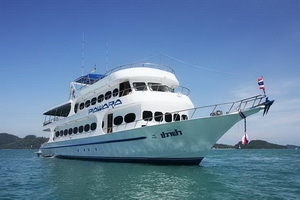 If you are serious about doing the best diving in Thailand then a liveaboard is the only way to go. The most popular Similan liveaboard duration is 4 days 4 nights and includes diving at the the Similan Islands plus Koh Bon, Koh Tachai and Richelieu Rock. Shorter trips are available that focus just on Similan Islands diving, or that skip the Similan’s and just dive Richelieu Rock, Koh Tachai and Koh Bon. 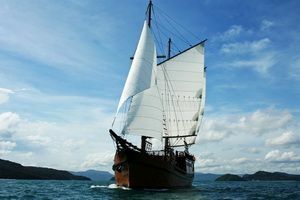 There are also short (2 or 3 night) liveaboards that cruise south of Phuket, diving Hin Daeng, Hin Muang, Koh Haa and Phi Phi. 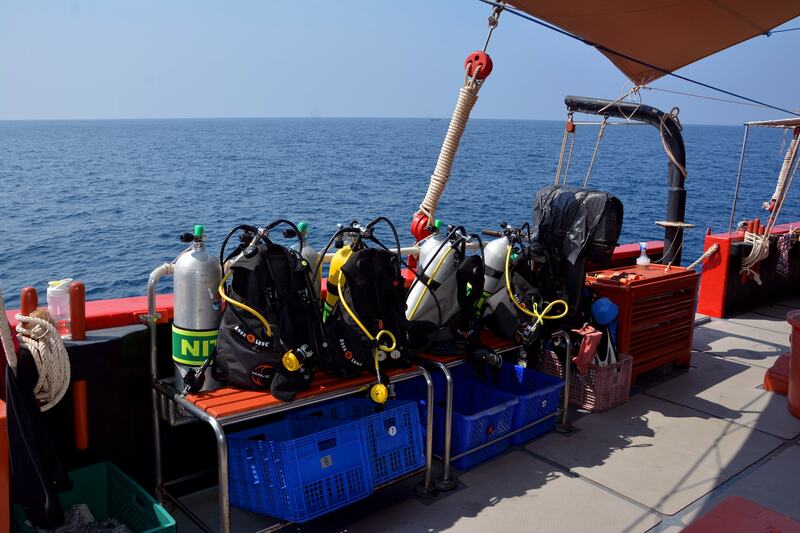 These can be combined with a Similan liveaboard to make a complete Andaman sea dive safari. There are so many Thailand liveaboards to choose from it can be difficult to select one. We can help. Tell us your dates of travel, how much you want to spend and anything else that’s relevant, like your dive experience and what type of cabin you want (ie. private bathroom, double or twin bed, single occupancy etc). We’ll give your our recommendations. Our keep reading for our suggestions based on budget, duration and location. Thailand Liveaboards	Overall rating:	4.8	out of 5 based on 90	reviews. Diva Andaman is the best liveaboard in Thailand in terms of on board accommodation, cuisine and customer service. Giamani takes just 10 divers in five comfortable cabins. This boat is popular with experienced divers who appreciate diving away from the crowds with highly knowledgeable dive guides. 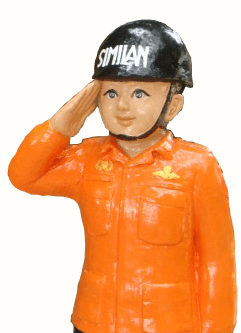 Itinerary: 4d 4n diving Similan Islands, Koh Bon, Koh Tachai, Richelieu Rock. 2d2n diving Hin Daeng/Hin Muang. Deep Andaman Queen has a huge master cabin on the upper deck with panoramic views and a king size bed. Pawara is great value and always well reviewed. The dive staff are a cheerful group and the food is excellent. Prices are just a bit cheaper than the competition and include free nitrox. Pawara is often booked up well in advance. Oktavia has a good price for single occupancy cabins if you are traveling solo. It’s a big boat with lots of space. Oktavia is a step up from the budget boats, but still cheap. Itinerary: 4 or 5 night trips diving Similan Islands, Koh Bon, Koh Tachai, Richelieu Rock. 2 night trips Similan only. 3d2n trips to Koh Bon, Koh Tachai and Richelieu Rock. The Junk is very good value for such an iconic boat. Especially if you book early and get a discount. MV Nangnuan is the cheapest liveaboard. No cabins, you sleep on deck. Does not dive at Richelieu or Tachai. Dolphin Queen is our choice for the best all round budget liveaboard. MV Andaman is another very cheap liveaboard with 3 day or 6 day trips. Prices include equipment rental. 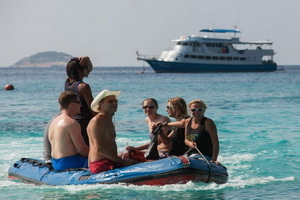 South Siam 3 offers overnight trips to Similan and Koh Bon. Prices include transfers from Phuket. South Siam 3 or South Siam 4 have the shortest Richelieu liveaboard trips. These 2 night trips also include the Similans so they are a good choice if you want to dive it all in a short time window. 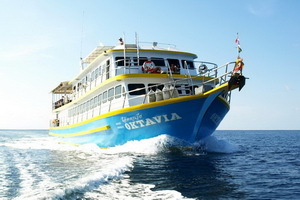 Oktavia skips the Similan Islands to spend more time at Richelieu Rock, Koh Bon and Koh Tachai. MV Andaman is a cheap boat diving Richelieu and Mu Ko Surin National Park. Less dived than the Similan Islands but as good as Richelieu Rock. That’s what many divers think about these two submerged pinnacles close to Koh Lanta. 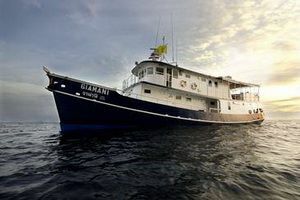 Giamani is the best liveaboard diving at Hin Daeng and Hin Muang and if you have 6 days to spare we highly recommend the 6 day trip that is a combo of 2 days south to Hin Daeng/Muang then 4 days north at Similan/Surin. South Siam 3 has a flexible schedule departing 5 times per week from November to May. Oktavia’s 2 night trip is an excellent Similan Islands only liveaboard departing from Khao Lak. Giamani runs 2 day 1 night trips from Phuket to the Phi Phi islands from May to August. Thailand has some of the World’s best diving. The “Land of Smiles” boasts multiple dive destinations with a huge variety of marine life and underwater topography, something to suit all tastes.The water is warm and clear. For most of the year the sun is shining and the sea is flat.Thai people are great hosts and their food is superb. Thailand is tourist friendly and has much more to offer than just diving. It also has top class accommodation and medical facilities. 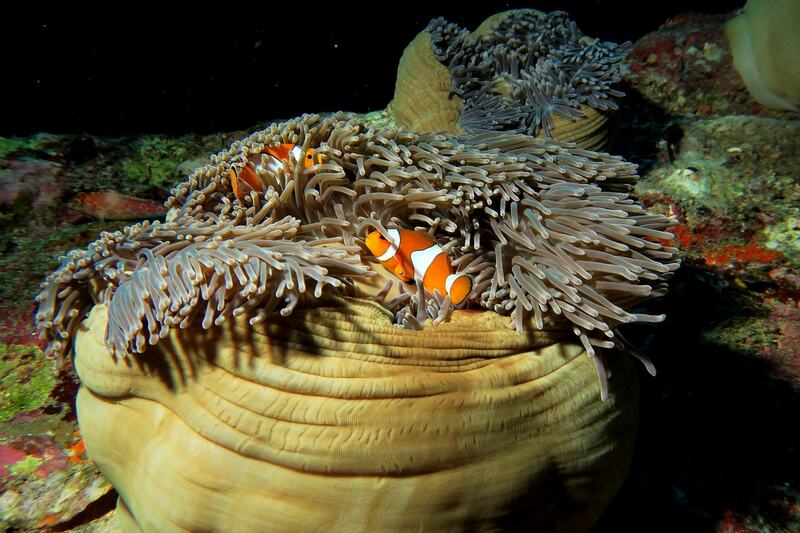 Thailand’s best dive sites are reached by liveaboard dive boat. Liveaboards offer the most dives for your dollar, they get you in the water first and they allow you to get to some dive sites that the day trippers can’t reach.There are liveaboard boats for all budgets from backpacker to 5 star luxury vessels. Liveaboard tours can be short overnight trips or multi day dive safaris. 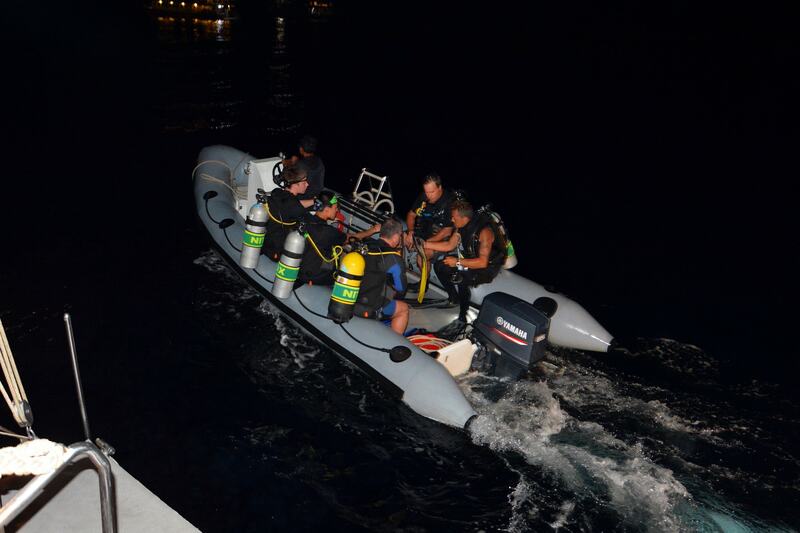 Many liveaboards offer Nitrox diving and SCUBA courses. Rated up there with the world’s best dive destinations and certainly Thailands diving crown jewel. Crystal clear water and a variety of underwater topography that most dive destinations cannot offer. 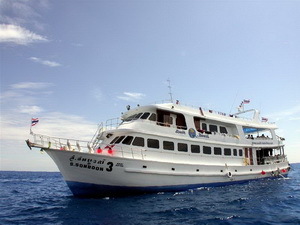 A liveaboard is the ideal way to dive all the best Similan sites as well as Koh Bon, Koh Tachai and Richelieu Rock. 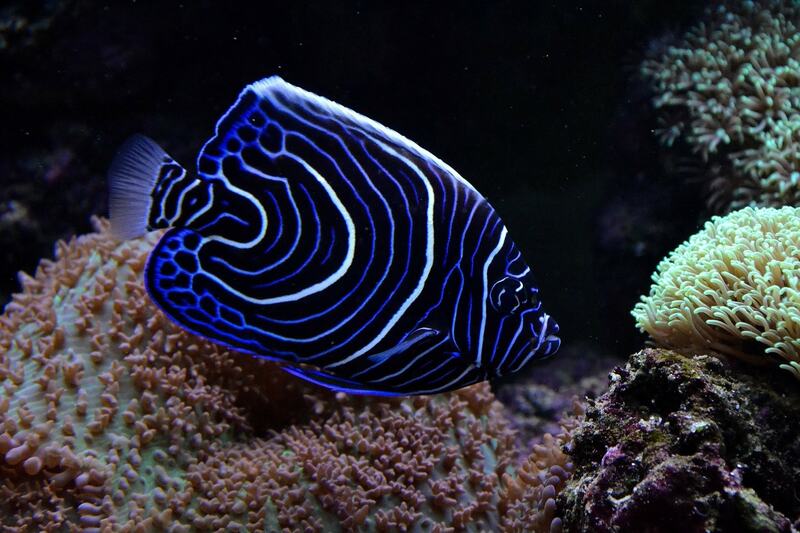 Underwater photographers will need macro and wide angle lenses on these trips. Red Rock and Purple Rock, two deep pinnacles frequented by sharks, manta rays and huge schools of fish. Liveaboard trips last 2/3 days and often include dives at Phi Phi Islands, Koh Haa Cave, Shark Point and King Cruiser Wreck. A great alternative or complement to a Similan liveaboard with really varied diving. The old backpacker hangout has loads of quality dive sites around stunning karst limestone rock formations. Beautiful soft coral. Leopard sharks, blacktip sharks and sea turtles are all common. Off the east coast of Thailand in the gulf of Thailand. It hasn’t got the visibility or the diversity of the west coast dive sites but it’s a great destination for lots cheap dives and dive training. Chumphon Pinnacle gets regular whaleshark sightings.